House in Arcachon for vacations open all the year -PARIS-PYLA | Arcachon, l'été sa plage, l'hiver sa forêt ! 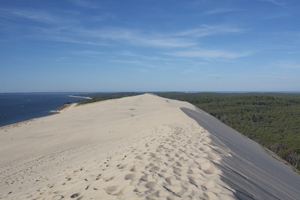 Arcachon is ideally located on the Atlantic Ocean and in the heart of the Landes region of Gascogne. It is less than an hour away by car from the prestigious Bordeaux vineyards and little more than three hours from Paris by high speed TGV trains. The scent of pine sap wafts on the ocean breeze, you are home, you are free! across from city hall, the market has reopened in a building inspired by the 19th century glass and steel creations of Victor Baltard. Under the arcades of the town’s main square shops, cafés and restaurants beckon! A short walk from the renovated city center leads you to the seafront where you can stroll along the sandy beaches to the Casino and the Convention Center. You are also close to the Olympia theatre and its plays and concerts. 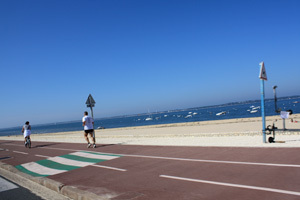 Sport buffs will find nothing lacking in Arcachon! 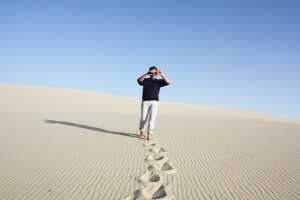 It’s a hot spot for windsurfers and paragliders flock to the Great Dune in Pyla. Surfers congregate on the beaches of Cap Ferret and Biscarosse. There are also miles of bicycle trails along the ocean and pine forests. Horseback riding and skydiving are also readily available. Tennis is at the fore in August with the Arcachon Open and golf in April with its Open on the beautiful 18 hole course at the Arcachon Golf Club. Let’s not forget two other pillars of Arcachon sports, sailing and Basque Pelota! A picturesque discovery is Arcachon’s “Ville d’Hiver. ” The Winter City is listed on the French List of Historical Landmarks. Built on the city heights, the “Ville d’Hiver” still exudes the charm of time past with its extarvagant villas built in the mid 19th century and its Moorish Park where the eponymous Casino was located. It burned down in 1977. We cannot talk about Arcachon without mentioning its treasure bestowed by Nature: the Abatilles spring discovered accidently in 1923 when drilling for oil. From it flows the purest water, our esential component.